Native of Venezuela, Ms. Padron is a graduate of Florida Atlantic University (FAU) in Boca Raton, FL with degrees in international business (1996) and management/marketing (1995). She is a former top 10 player from Venezuela. She brings a wealth of experience in tennis coaching and program management. Marianella worked at SAAD at Key Biscayne, FL where she managed the SAAD tennis academy, recruited players and oversaw the tennis and fitness programs. Most recently, she served as Manager and Pro of the Ace Tennis Center in Ft. Myers, Florida. In addition, she was an Assistant Tennis Coach at FAU. Her favorite tennis players are Steffi Graf, Pete Sampras and Roger Federer. Marianella was also the Missouri Valley District President from 2011-2014, and Vice President in 2010. Mike previously worked for the Millennium from September 2001 – June 2005 as director of tennis. While at the Millennium, he helped more than 20 athletes earn a ranking among the USTA Missouri Valley Region. He left the Millennium to work as assistant coach for the University of Tulsa (TU) Men’s Tennis Program. Tulsa experienced unprecedented success in his tenure, including the following: Four Consecutive C-USA Conference Championships, four NCAA National Championship Appearances, NCAA National Team Ranking: #8 (Program High) and 2007 ITA Central Region Assistant Coach of the Year. Mike led the Nationally Ranked Division 1 Program at Florida Atlantic University from 1994 – 2001 as the Director of Tennis. During his stint at FAU, Mike was an On-Court Instructor and Academy Consultant for the International Tennis Academy working with ITF top juniors, ATP and WTA professionals. Richard joined Millennium in 2011. He was the number one tennis player from Carthage High School. He was a state qualifier for singles tennis. 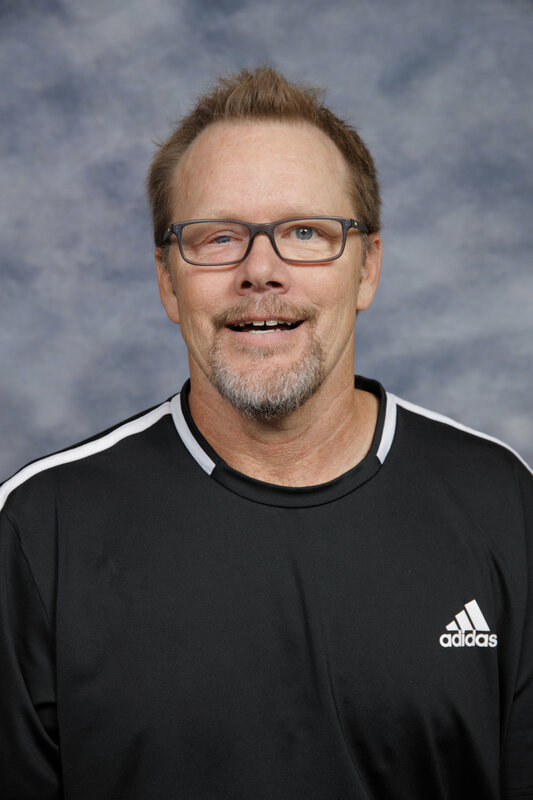 Richard has held positions as the Assistance Coach for Thomas Jefferson’s Boys and Girls High School tennis teams and Head Chose of Thomas Jefferson’s Middle School tennis team. Richard has also held positions as the Assistant USTA Tournament Director and the USTA Junior Team Tennis Coach and Organizer. Megan Cameron is the coach for Millennium’s COMP group, the head coach of our Tri-State summer league team, and also our adult Masters coach. She grew up swimming competitively year-round with the Lakeland Hills YMCA Swim Team as well as the Lake Valhalla Club. She later swam for Barrington High School and Barrington Swim Club, a USA swim team. She attended Indiana University and spent summers teaching swim lessons and coaching 8 & under swimmers. She currently trains and competes in USMS and USA swim meets, as well as triathlon. In 2017 she qualified and competed in the Age Group Nationals for USAT in Omaha, NE and was nationally ranked in the 2017 USMS Top Ten Times for her age group for the LCM 50 and 100 backstroke. 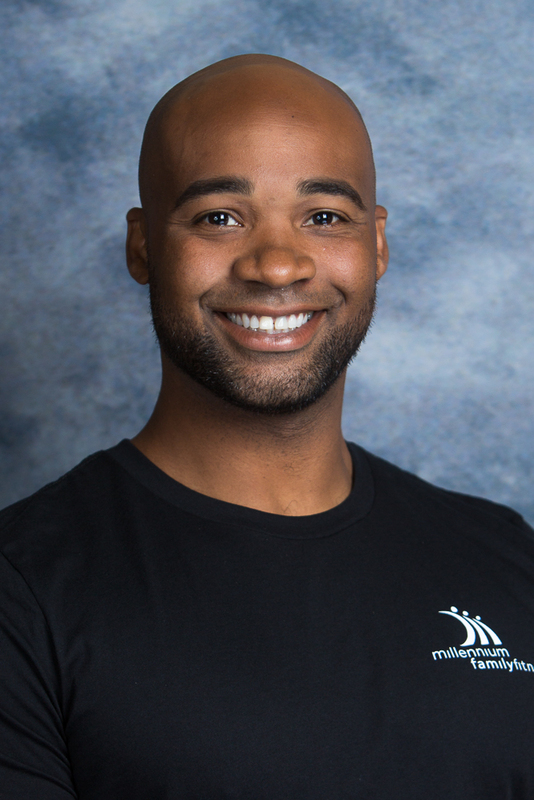 Travis has joined the team full time as Millennium's Fitness Director and is looking forward to the exciting changes he is bringing to 2018. Travis has been a member of the Joplin community since 1998. Graduate of Joplin High School 2002, attended Crowder College 2004. He has had experience in coaching football and basketball for Joplin Youth Sports. Travis has been certified in Personal Training and Group Exercise. He is an advocate for High Intensity Interval Training (HIIT). Travis has two athletic, young boys, Keaton and Quinton, who are very active in sports and love to follow in their father's footsteps. Over the last decade, Juliana has emphasized in sports conditioning, fitness for better health, and weight loss. In addition to helping others achieve their fitness goals, she runs long distance races, competes in triathlons, and enjoys strength training to keep conditioned. She strongly believes in the benefits of a well-rounded fitness routine. She became a fitness instructor as her lifelong struggle with her weight and fitness inspired her to help others on a similar journey. Reesie is a mother of three girls and has been a member of the Joplin community for eight years. Chelsey has been a Fitness Instructor at Millennium Family Fitness for two years. Health and fitness are a big part of Chelsey’s life as she has taught fitness, Barre, and Yoga classes to all ages at a number of athletic facilities. 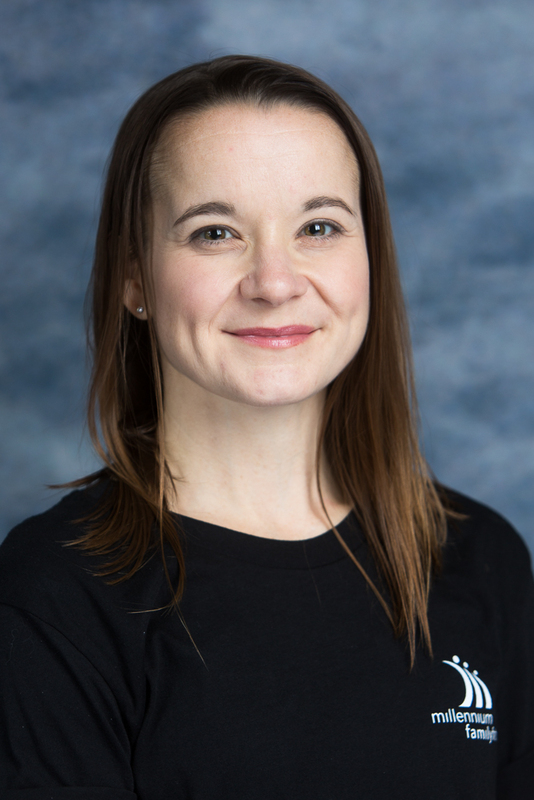 Chelsey received a Master of Science degree with an emphasis in Wellness Management from Pittsburg State University in May 2018. Chelsey believes that movement is key for long term mobility and happiness, no matter what age or fitness level! Chelsey currently resides in Joplin, MO with her husband, son, and her dog, Pretzel. After having difficulty keeping a routine practice due to a busy life, Claudia rediscovered her pass for Yoga a few years ago. Through studying under Emery Bryant for her RYT 200 hour Yoga training, she learned that Yoga is more than just exercise, it’s a personal journey. Claudia is excited to share her passion for Yoga with the Joplin community. 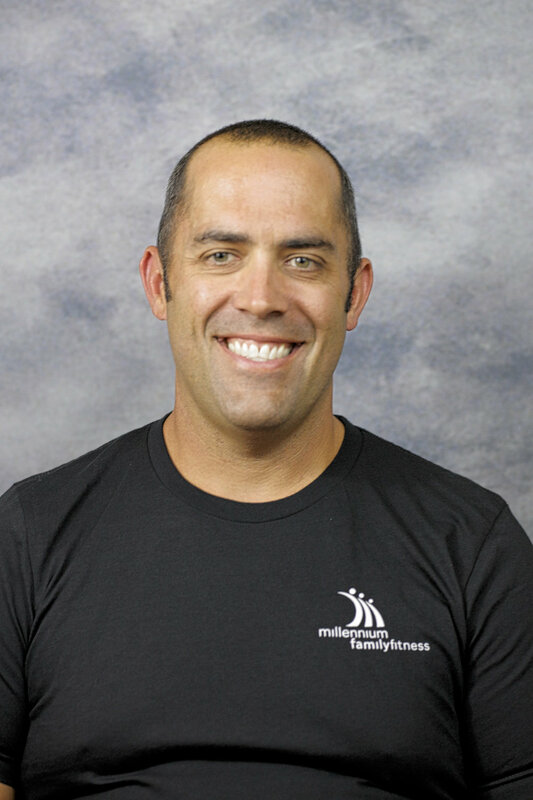 Josh is a certified spinning instructor and has actively led and attended spin classes for over 10 years. He is an avid cyclist who enjoys road, gravel, and mountain bike riding. He also has a passion for working on and building bikes. He is an active runner in the Joplin community. He has completed several half and full marathons. 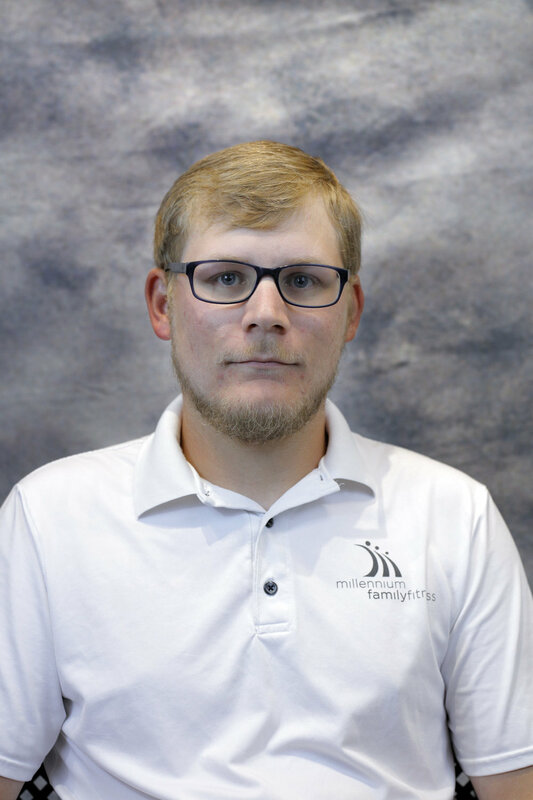 Josh moved to Joplin in 2000 to attend MSSU, from which he received a Bachelor’s of Science in Chemistry. Josh started his fitness journey in 2007 after gaining 160 pounds in college. Now he welcomes any fitness challenges that come his way. 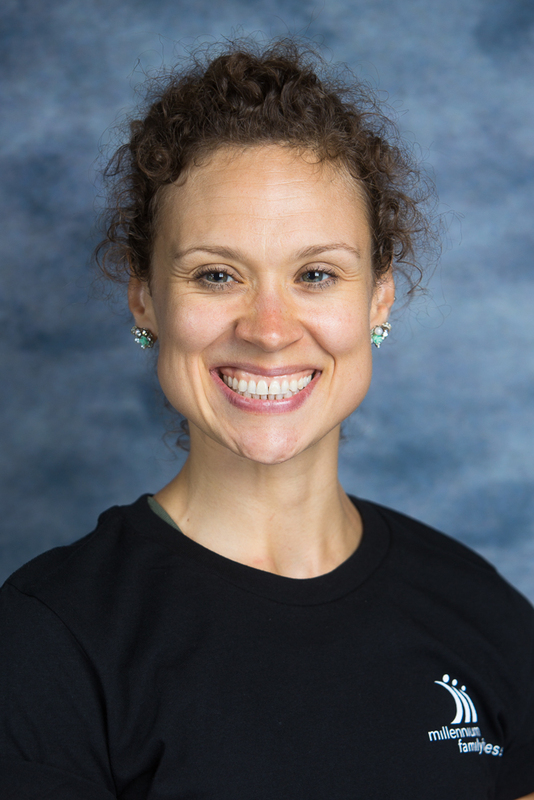 Laurie has taught step, HIIT, and boot camp style classes and is excited to be teaching at Millennium. She has a Group Exercise Certification and has obtained her certification to teach CrossFit Level 1. She is a CPA and received her Bachelor of Science in Accounting from Missouri Southern State University. She worked at a Fortune 500 company, but recently decided to transition to part-time projects so she could pursue her love of fitness and to spend more time with her children. Laurie believes that variety is the key to making fitness successful and fun. In addition to teaching group fitness, Laurie runs, lifts weights, and enjoys CrossFit. Lo is a certified spinning instructor and has over 15 years of experience as a participant and instructor. She is also an avid runner and has participated in several full and half marathons. Lo has resided in the Joplin area for about 30 years and she enjoys fitness and people. She holds a bachelor’s degree and a master’s degree from Pittsburg State University and had a professional career in college admissions before choosing to be a stay-at-home mom. Lo is married to Steve Lea and has two grown daughters and two grown stepchildren. Natashia Hamlet is an AFAA certified group exercise instructor, and also a licensed Zumba, Aqua Zumba, and Pilates instructor. She moved to Joplin from Oregon in 2011, and after struggling with weight gain following the birth of her second child became an active gym member. Natashia experienced successful weight loss through Zumba classes and became motivated to be a fitness instructor in order to help others like herself. Natashia has taught classes throughout Southwest Missouri and is happy to be a part of the Millennium fitness team. Rebecca teaches Vinyasa Yoga and Insanity Live at Millennium Family Fitness. She loves Yoga for not only what it offers physically to its practitioners, but also for what it offers mentally and emotionally. It helps them learn to be still, be present in their body and breath, and to find peace on and off the mat. She enjoys being able to bring spirituality to her classes as well as humor. Rebecca also loves teaching Insanity Live because the format welcomes all levels of fitness. Participants can easily find ways to modify according to their needs and still get an amazing workout. Rebecca appreciates being able to push her class participants beyond what they think they are capable of, all while making them laugh and enjoy their time together. Tracy studied under Emery Bryant for her 200HR and received her 300HR at Ozark Mountain Yoga in Springfield. She also completed her Yin (Deep Stretch) certification. Tracy’s favorite part of Yoga is finding inner strength and space. Tracy hopes to help others find a personal Yoga practice. Vanessa is a certified instructor in the MMA-inspired program Core De Force, which combines boxing, kickboxing, and Muay Thai moves. She is incredibly passionate about fitness and nutrition and has ran several half marathons. Vanessa has been an online fitness consultant since 2013, through which she has helped individuals achieve their fitness goals using healthier food choices and exercise commitments. She graduated from Pittsburg State University in 2004 with a Bachelor’s degree in Business Management. Vanessa lives in Joplin with her husband, Michael, and her beautiful daughter, Olivia. “Yoga for life”, which is what Wenwen believes deeply in her heart since she took her first Yoga class 10 years ago. It transformed her from a stressful businesswoman into a healthy and happy Yoga instructor. 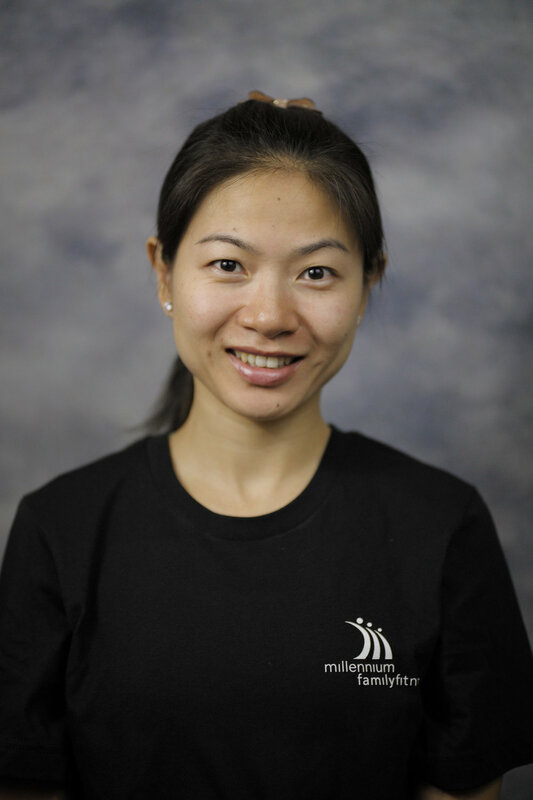 Wenwen has been teaching Yoga for over six years combined in China and the U.S., with a diverse client base ranging from corporate executives to stay-at-home mothers. She is certified with RYT 200 hour Yoga from Yoga Alliance, with a focus in Vinyasa Yoga, Power Yoga, and Yin Yoga. Her interactive teaching style provides a great deal of comfort for both beginner and practitioner. There is one goal in her mind: to bring clients a sense of peace and relaxation through the combination of controlled breathing, physically stretching, and balance. 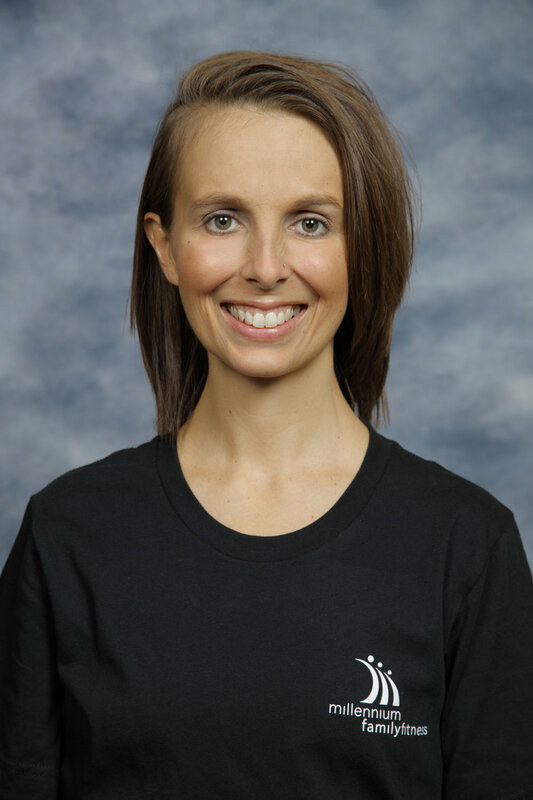 Tonya is excited to join the Millennium team and is looking forward to being part of the growth and changes as we transition from a Tennis Club to a Family Fitness Club. She studied Business Management at MSSU where she received a scholarship to run hurdles for the Lady Lions. Tonya comes to us from Lady Foot Locker with over 20 years of business management and retail sales experience. She earned multiple top honor awards including Regional Manager and Manager Trainer of the Year. She has an extensive background in fitness and running. In 2012, Tonya started obstacle course racing. In 2013, she quickly jumped to the top of the OCR Spartan Race Ranks to one of the top five in the world for women. Tonya qualified and competed competitively in the OCR World Championships in the US and in Canada from 2014-2017. She was sponsored by LegendBorne Sportswear and Rocktape for these events. Tonya has been a member of the Joplin community since 1998 where she and her family volunteer for and attend Hope City Church. She and her husband, Donovan, have a 16-year old daughter and three boys from the ages of 9 to 13. Brad has been with Millennium since opening day. 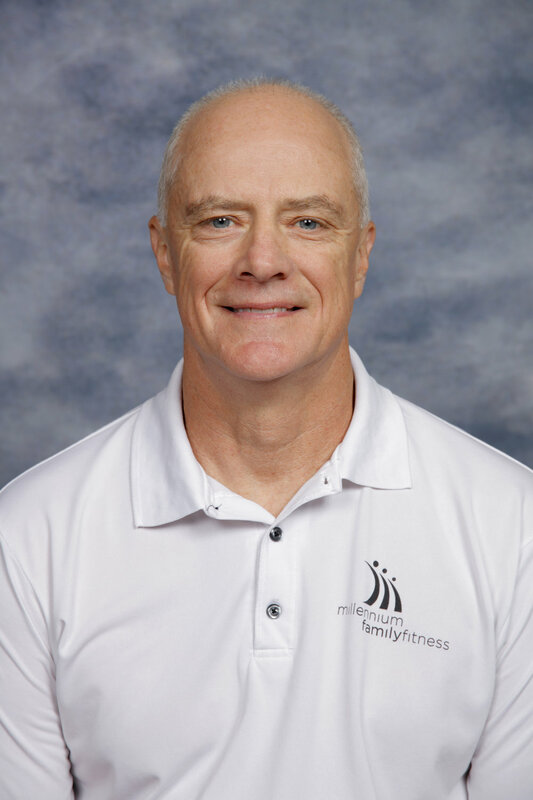 He is passionate about health and fitness and has been in the industry for over 30 years. Brad has a Bachelor’s degree in Education from Missouri Southern State University in Joplin, MO. He played football during his time at MSSU and earned All Conference honors. In 1979, he married his wife, Cathy. They have two children, Katie and Jordan. Brad enjoys all types of sports, especially fishing and hunting. His favorite tennis player is Jimmy Connors. Wayne started as a tennis teaching pro in the Northwest. He has served in key management positions at industry-leading clubs including ClubCorp, Western Athletic Clubs, Sporting Clubs of America and American Golf. Wayne enjoys interacting with club members both socially and competitively. He has worked on both coasts but is excited to be in the heartland since joining in 2016.